In early 1880 Claude Augustus Currie planned to have the adventure of a lifetime. He was scheduled to go on a whaling expedition as ship’s surgeon. At the last minute he couldn’t go. He asked a fellow student to take his place. That student was Arthur Conan Doyle. Conan Doyle had just completed his third year of medical studies when he signed on as ship’s surgeon of the Greenland whaler Hope. The plan was to spend two months hunting seals off the coast of Greenland and then head north to look for whales. Whale oil was used to make soap and lubricants. The baleen, long and bony plates in the whale’s mouth, were used to make many things including kitchen utensils and corset stays. 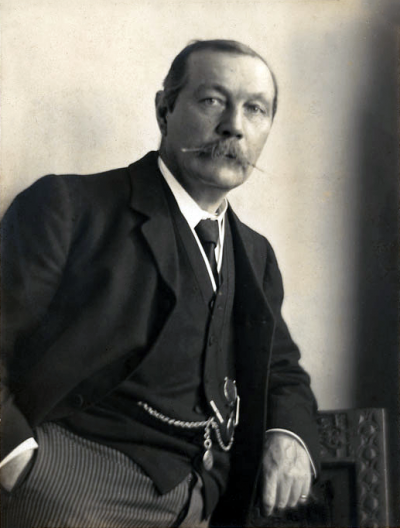 During the voyage Conan Doyle was rarely called upon to use his medical skills. Instead his primary functions proved to be breaking up fights between the other crew members and keeping John Gray, the captain of the ship, company. The Hope carried eight whaling boats. Seven boats were usually used during the hunt while one was kept as an extra or spare boat. When a whale was sighted the whaling boats would be launched. When they were within range a harpoon was fired at the whale. 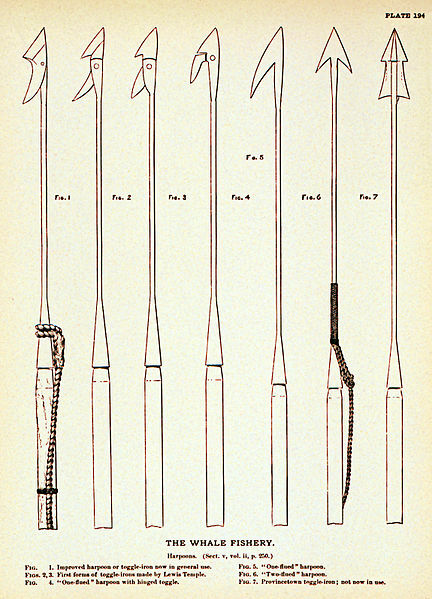 The harpoon was attached to a long, strong coil of rope. The harpoon rarely killed the whale, instead the animal would try to flee while towing the whaling boat behind it. The other boats would catch up and at that point the exhausted whale would be lanced and killed. The carcass would then be towed back to the ship for processing. Usually the “idlers” on a whaler, people like Conan Doyle who had not joined the crew as sailors, did not participate in the whale hunt. However Conan Doyle and the rest of the idlers volunteered to man the extra boat. Conan Doyle became so adept at whaling that the Hope’s captain offered him double pay if he would act as harpooner as well as the ship’s surgeon on the next voyage. It was a dangerous way to make a living and Conan Doyle declined. 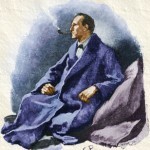 In fact, Conan Doyle’s life was in danger several times during the voyage. Once when he was taking part in a seal hunt on the ice flows he accidentally stepped off of the ice and fell into the freezing water. No one had seen him fall and he was initially unable to pull himself out. Luckily he remembered the seal carcass that he’d been working on before he fell. He reached out of the water and managed to grab the seal’s flipper. By using the seal’s body as leverage Conan Doyle pulled himself out of the water. In another instance Conan Doyle was on the lancing boat, the boat charged with killing the whale once it had been harpooned, when the wounded animal brought its side fin out of the water and poised it over the boat. 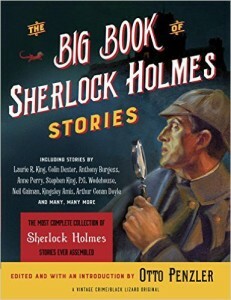 The six men on the boat, including Conan Doyle, realized that should the huge fin be brought down on top of them their boat would be sunk. Luckily they managed to maneuver the boat out of harm’s way before they were injured.